There can be no denying that this does a great job at hair removal and comes with a load of awesome attachments. The only thing standing between you and a solid piece of technology is the price. Is it worth it? I think so. I think this one is great for the face specifically but if you’re looking to work on the rest of your body more, then perhaps the Epil 7 with Sonic Exfoliation Brush is more for you. Investing in an epilator as comprehensive as this one is a bit of a financial commitment but it takes so much faff out of personal care and I was really pleased with the results. If you’re looking for the best, you’ve found it. Braun is at the forefront of personal grooming and care technology and has wide product ranges in dental care, hair care and much more. Founded in 1921 by the German, Max Braun, the company has been owned by Gillette and now Procter & Gamble. It’s the go-to brand for many products and its epilators are absolutely packed with technology. Yet another variation of the Braun Silk-Epil 7, this time with a facial cleansing brush. 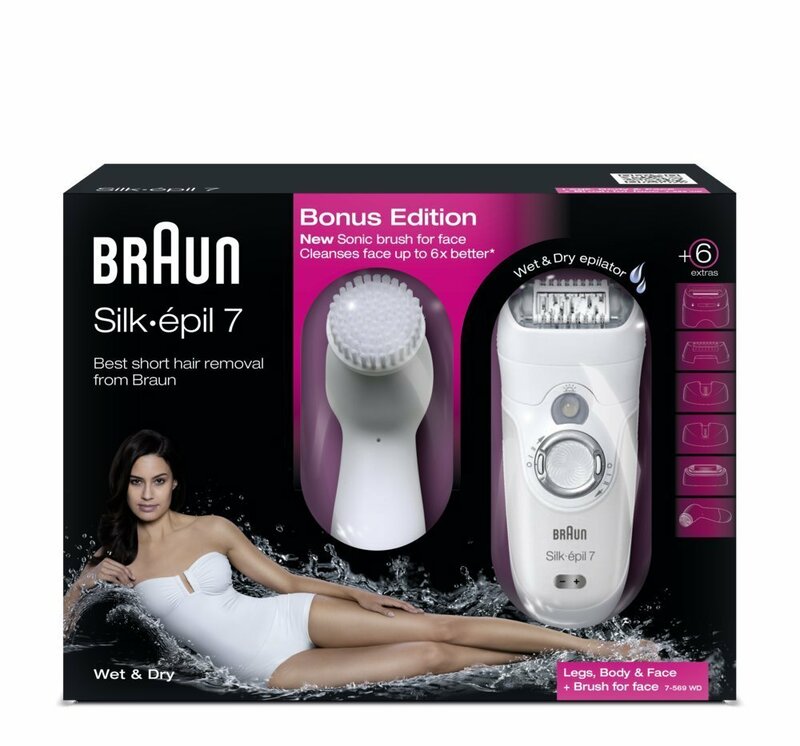 While the ‘Braun Silk-epil 7 Skin Spa Wet and Dry Cordless Epilator and Sonic Exfoliation Brush’ has the sonic exfoliation brush for body, this facial cleansing brush is specifically for the face. It’s very effective at getting rid of make up and that general layer of invisible dirt that you can feel but struggle to be totally free of. This is actually really effective at returning skin to a smooth and thoroughly cleansed state. 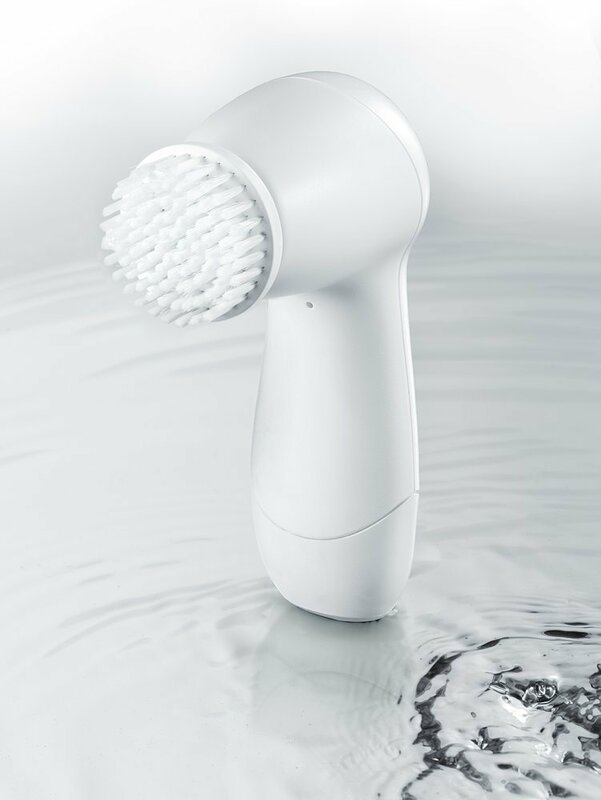 If Braun sold an epilator with both the sonic exfoliating brush and this facial cleansing brush, I would extol its virtues forever. Once again, this Silk-Epil 7 is totally waterproof which is one of the signs of a great epilator. Even those who find epilating particularly painful will feel great relief if epilating in the warm shower or in the bath. Without the waterproof feature, other epilators may well continue to be painful. This one is waterproof and cordless with Braun’s awesome 1 hour charge time and 40 minute run time. It’s comfortable to hold and the myriad attachments are really easy to remove and fit. It’s got pretty much everything you could want including the trimmer and shaver attachments which make it an all-in-one device. The sensitive area cap lessens pain under arms and around the bikini line and again, I think it’s best to do these under warm water. The Olay cleansing wipes with some Braun products always seem like a bit of a random afterthought; why not include them with all epilators? But still, they’re soothing after epilating and can be used to prepare the skin beforehand as well if you wish. 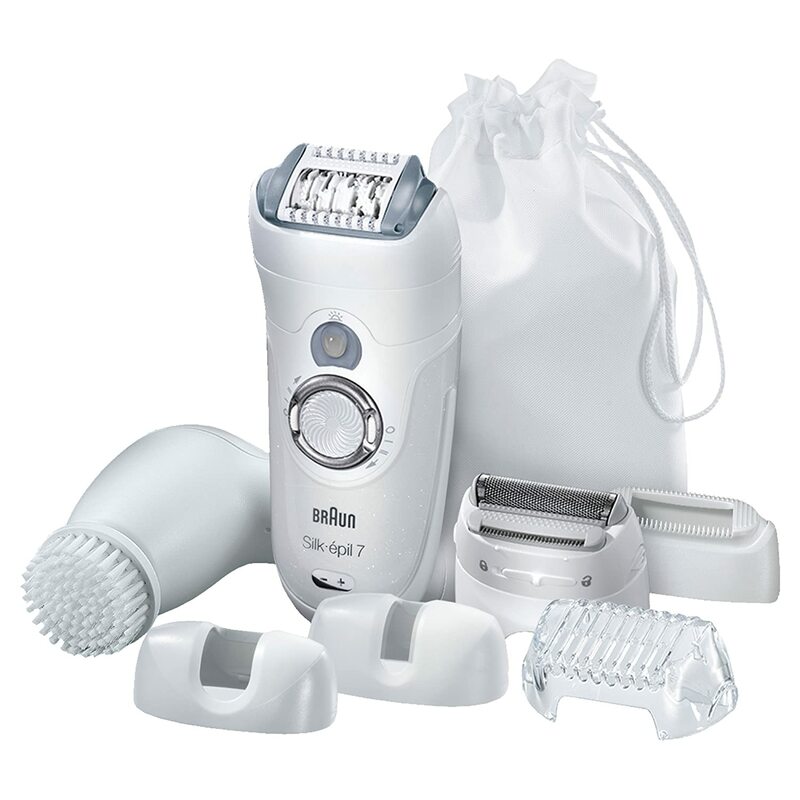 If you’ve decided that Braun is for you then the hardest part will be choosing which epilator to go for as they’re usually only different by one or two attachments. This one is great if you’re looking to improve the texture of your face and it’s really effective at that.